Today on 'On Writing', we have the pretty and talented Purba Chakraborty talking about her book 'The Hidden Letters'. Purba Chakraborty is an author, poet, freelance writer, web content developer, blogger and social influencer. 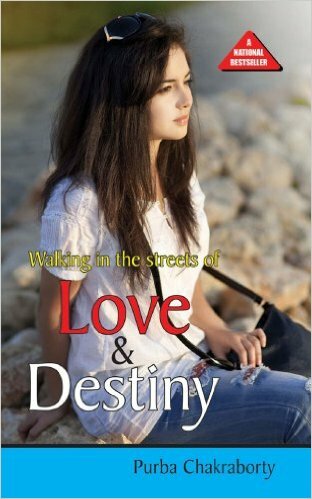 She has authored two books “Walking in the streets of love and destiny” (2012) published by Diamond Books and “The Hidden Letters” (2014) published by Bluejay Books (an imprint of Srishti Publishers and Distributors). 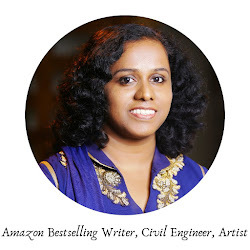 Many of her short stories, poems, and articles have been published in several anthologies and magazines such as “Rhymes and Rhythm”, “Mélange ~ a potpourri of thoughts”, “Kaafiyana”, "Stories for your valentine", "Fusion-A mingled flavor mocktail", “eFiction” "Writer's Ezine" etc. Welcome to 'On Writing' Purba. I have fond memories of writing poems when I was in class four or five. I still have that notebook filled with those poems that I wrote in my childhood. I always took part in the creative writing competitions held in my school and excelled in them. My favorite subject has always been English. So, I guess there was always this writer hidden inside me, but I couldn’t find the calling of my heart until I completed my graduation. I don’t spend a lot of time deciding the names of the characters, but yes they are important to me. Unless and until I feel content about the names of the characters, I cannot start working on the book. The least favorite part is to hunt the right publisher after completing the manuscript. It requires a lot of patience because publishers take quite a lot of time in approving a manuscript. At first, there is the preliminary evaluation of the synopsis and the 3 chapters of the book. Then, you are asked to send the complete manuscript and wait for their reply. It is my least favorite part. What is ‘Hidden Letters’ all about? How long did it take to complete writing it? “The Hidden Letters” is the story of a middle-aged woman, Anaya Chatterjee, who is a very successful author. She has everything in her life to be happy about: a doting husband, a loving daughter and a great career. However, she is haunted by nightmares and guilt that doesn’t let her live in peace. She has concealed a bundle of letters from everyone in the world, including her husband since years. Those hidden letters hold the key to the storm inside her. Finally, she decides to put an end to the tempest and face her demons. Will the hidden letters destroy her or will she be able to find peace in her life? This is the crux of the story. It took around six months to complete writing “The Hidden Letters”. The protagonist of the book, Anaya is my favorite character. I could connect a lot to her. She is strong yet vulnerable. She makes mistakes, yet has the courage to make amends putting everything at stake. And above all, she loves her family a lot. Is there a certain type of scene that is harder for you to write than others? Did you face such an issue while writing ‘Hidden Letters’? I think it is exhausting to write the emotional or the heartbreaking scenes because you form such a deep bond with your characters while writing a book. So, when the character suffers, you also go through that emotional exhaustion. There were a few scenes of “The Hidden Letters” which exhausted me a bit emotionally such as the scene where Varsha couldn’t recognize Nishith, the scene where Anaya breaks down in front of her daughter and the scene where Anaya leaves her house in Singapore. I am more of a plotter. The story churns in my mind for a few days or months. Finally, when I cannot keep it within myself, I write the synopsis in my notebook and keep reading it. Then I plot the chapters on my notebook. After the rough sketch is prepared, I start writing the first chapter in my computer. However, the track or the flow of the story often takes its own course while writing. Yes, I read most of the reviews. I try not to take both the praise and the criticism to my heart. If anyone has anything good to say, I feel happy. If anyone has anything bad to say, I am okay with it. You can never please everyone in the world with your work. It’s a fact. So I understand that my story did not appeal to the person and it is fine. It’s a little tough to deal with bad reviews, but I feel a writer should just concentrate on his or her work. Reviews are secondary. Work is primary. And in today’s world, everything is so transient. The person who criticizes you a year back might shower praise on you now and vice versa. So, do not take the negative to your heart. Thank you Purba! It was very interesting talking to you. I wish you the very best in all your future endeavors. Thanks a lot, Preethi. It was a pleasure talking to you. Blurb: She is a successful author, a loving wife and the world's best mom. 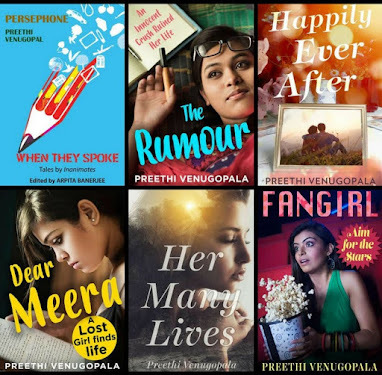 Her doctor husband dotes on her, her teenage daughter idolizes her and her readers yearn for her writing. Shouldn't all that respect and love make her happy? Yet, she is devoid of inner peace. In the wee hours of the night, her slumber is disturbed by horrifying nightmares. All her harmony is abducted and lost amidst the bunch of hidden letters kept in her cupboard. Those letters were written long back by her cousin, presently a patient at a mental asylum in Kolkata. 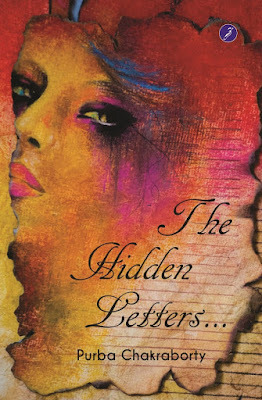 Haunted by her inner demons and tired by the long-time secrecy, she decides to put an end to her misery by surrendering to her husband and daughter, The Hidden Letters... Will she lose her husband's love and daughter's respect? Can she forgive herself for her own selfishness which rendered her cousin's fate malignant? "Love is simple…destiny is not! For a girl, who is more important? The guy who taught her to love or the guy who taught her to dream? The guy who considers her his life or the guy who gave her a new life?The person with whom she has spent almost two decades of her life or the person who understands her more than anyone else within a short span of less than a year? Do pick up her books folks. Wow !! I m so happy to read this. Thankyou preeti for sharing this. and my wishes are for you purba. Best for the book, Purba and a thriller which is exciting. 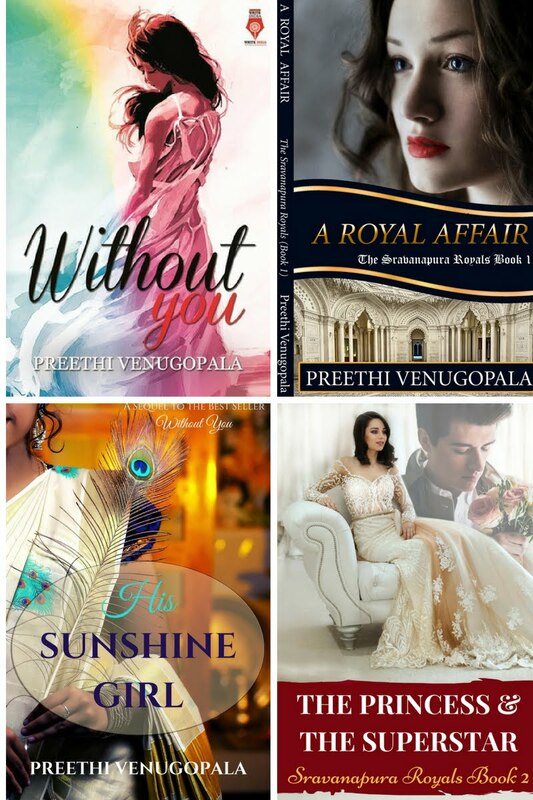 As always, Preethi has a natural chemistry with the authors she host on the blog. This was an inteview that was a pleasure to read.Purba always came across to me as one with a lot of energy and drive considering the challenges & engagement in her chosen field of writing.she makes effort to read & comment on others post almost invariably. I wish Purba all the best with her novels! Kudos to both of you Preethi & purba for a free flowing enjoyable interview! Thank you so much Preethi for the lovely questions. It's a pleasure to be featured here. And since it is my first interview of 2016, it feels more special. I am glad that I got a chance to share my views and experiences here. I haven't read her book yet, but her blogposts are simply amazing! 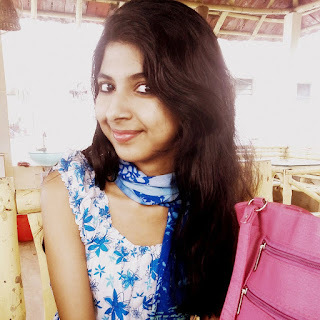 I regularly read her Blog Posts.. Each Post is unique by itself forever conveying a new Message.. She has an unknown hidden talent with her which is very much seen in her Writings.. I wish her and her family all the best!